Gov. Larry Hogan successfully used public financing when he ran for office, and now he wants to make sure the fund is replenished so other candidates have the same opportunity. At the House Ways and Means committee hearing Wednesday, two similar bills were proposed to re-enact a check-off box that would allow voters to contribute to gubernatorial campaigns through their income tax forms: Hogan’s proposal is HB 485 and Del. Eric Luedtke’s is HB 573. 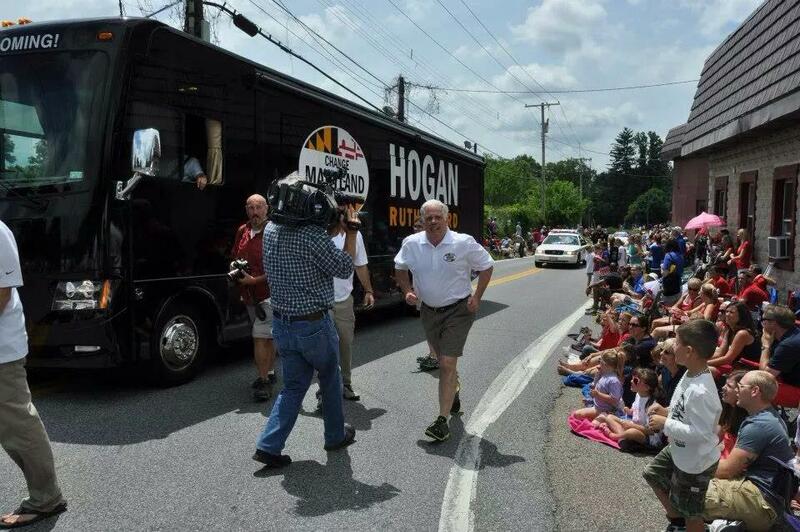 Hogan was the first candidate in state history to use public financing in a successful campaign that led to his election. “Grassroot candidates with strong community ties should be able to run competitive campaigns even if they do not have personal wealth or access to major donors,” testified Joe Getty, chief legislative officer for the governor. The Fair Campaign Financing Fund (FCFF), until its 2010 repeal, allowed taxpayers to support those qualified to run by giving them a portion of their income tax refund or by adding a donation onto what they owed the state. It was intended to make the process transparent and allow “candidates and officials to invest their time and energies into investigating and remedying the concerns of the electorate,” said Toni Holness, public policy associate for the American Civil Liberties Union of Maryland. If the bill passes, the check-off would cap donations at $500 per tax return. The last year the check-off was available, taxpayers donated about $100,000, stated the Department of Legislative Services. One concern voiced by the committee is how to revitalize the funds, which were $1.1 million in October 2014. “The election was a testament to the power of the program,” said Jennifer Bevan-Dangel, director of Common Cause Maryland. “There is a significant change going on nationwide in the way people think of public financing,” said Luedtke. “This model forces candidates to spend more time with smaller donors, the regular people of our state, rather than well-heeled contributors,” said Luedtke. For example, a smaller donation of $25 may be matched six-times over by the state under Luedtke’s proposal. Luedtke also suggested excess funds given by FCFF to candidates be given back after the campaign. According to the National Conference of State Legislatures (NCSL), 25 states have public funding programs and 10 have a form of the income-tax check off.